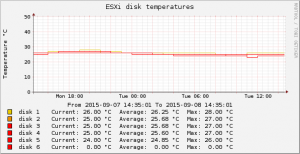 Following on from a previous post, this details how I log my ESXi disk temperatures. Port 1025 was chosen at random – any unassigned port above 1024 can be used. 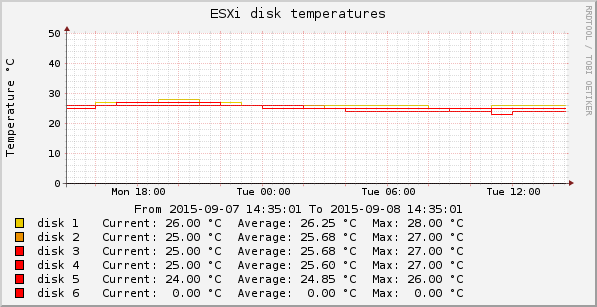 /tmp/temps.txt is read by another program (in my case the Eluna Graph System ) which graphs the temperatures.